"In America we need to get things straight / Obama, let's get these kids educated / Create jobs so the country stays stimulated." Will.i.am’s disappointment is important to note because the singer is a longtime supporter of President Obama. In January 2008, he wrote a song, “Yes We Can,” to support the Obama campaign. The song, which contains lines from Obama speeches, became a celebrity-filled music video. In February 2008, he released a second video, “We Are the Ones,” which featured still more celebrities chanting Obama’s name. Two more songs, “It’s a New Day” and “America’s Song,” were written to celebrate Obama’s inauguration. 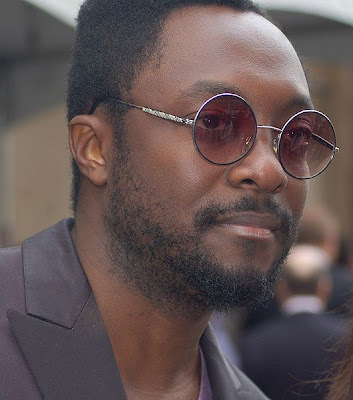 Will.i.am’s disillusionment with Obama is a sign that the fact that Obama’s policies are not working is evident even to his longtime supporters. After trillions of dollars spent on stimulus programs unemployment is still much higher than under President Bush and much higher than Obama promised. Even though recent statistics show a modest decline in seasonally adjusted unemployment numbers, data that is not seasonally adjusted show a total unemployment rate of 9.6%. As it has in the past, Georgia’s unemployment rate remains even higher at 10.2%. What Will.i.am and the other remaining Obama supporters should realize is that President Obama does not create jobs. The only jobs that President Obama can possibly create are jobs in the federal government. These jobs are actually a drain on the economy, rather than a help. Government workers do not produce anything (with the possible exception of paperwork and red tape). On the other hand, the president can do a lot to keep jobs from being created. If Will.i.am wants to see more jobs in this country, he should ask President Obama to get the federal government out of the way. Much of President Obama’s productivity has been legislation that hurts private business and, therefore, hurts workers. Obamacare is a massive increase in taxes and regulation. His financial reform dramatically increases bureaucracy and regulation while doing nothing to rein in Fannie Mae and Freddie Mac. Obama’s drilling moratorium in the Gulf of Mexico threatened thousands of jobs. Will.i.am should tell President Obama to follow the lead of Presidents Harding, Coolidge, Kennedy, Reagan, and Bush. The tried-and-true prescription for curing the economy is a two-step plan. Cut taxes and cut spending. When businesses see record levels of government spending and new arbitrary regulations issued on an almost daily basis, they take a wait and see attitude. If taxes are likely to rise and laws are likely to change, then why invest? It is better to wait until things stabilize and you can develop a viable business plan. If businesses aren’t growing, then neither are they hiring. That fact is becoming more and more apparent to all Americans. Whatever happened to Saddam's WMD? What would Reagan tell Obama? Is the Egyptian revolution good or bad?